"You know what Peter Molyneux's like," an ex-22Cans employee told me while trying to sum up the infamous designer's tendency to make enormous promises and then just kinda... forget about them. "You try to hold onto his words and they slip through your fingers." Molyneux—who has long had a reputation for making promises he never quite delivered on—has again been accused of misleading statements, if not outright false ones, in relation to Godus, his Kickstarter god game revival. In an attempt to get to the bottom of it all, Kotaku spoke both to Molyneux and to three people who have worked with him over the past few years. This is the story of how Godus ended up where it is today. Godus, which Peter Molyneux once touted as "the ultimate god game," originally launched as a Kickstarter in late 2012, garnering £526,563 (or about $800,000) in pledges. At the time, it was pitched as an "innovative reinvention of Populous" with "a living world" and much-hyped multiplayer for PC, Mac, mobile, and—as a stretch goal—Linux. As we've previously detailed, nether multiplayer nor the Linux version have come to fruition, and for a time there was serious doubt from 22Cans as to whether we'd ever see either. Initially, Molyneux and co said they were focusing on Godus' PC version, insisting that it was priority number one. The Kickstarter, while not going so far as to state that outright, only offered a PC version as a backer reward and contained claims that the mobile version would not lead to a dumbed down or otherwise compromised PC game. "No absolutely not," they wrote in response to a question about whether mobile would lead to a lesser PC game. "We are gamers at 22Cans, we love depth as much as we love innovation. We will be playing the game with you during our Alpha and Beta stages, so if anyone gives us feedback we will look at that. But we're not making a dumbed down game." In May 2013, the people behind Godus released an unfinished, buggy PC alpha, followed by a beta, followed by minimal updates and large patches of radio silence when the mobile version came along. Said mobile version, which was released in August 2014, ultimately bore little resemblance to the god games of yore, with a microtransaction-based business model and gameplay that drew upon common mobile game tropes, especially farming. Opinions on it were mixed. 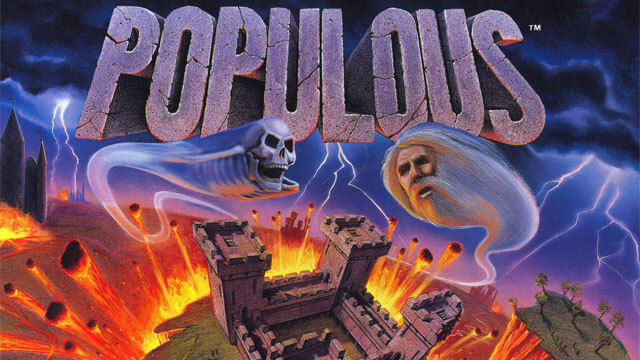 This was surprising to developers internally, according to all three people I spoke to, because many people had joined the company expecting to work on a PC game—on something akin to Molyneux classics like Populous or Black & White. But they soldiered on through the mobile version's development in hopes of eventually getting to that point. Meanwhile, the PC community's ire only grew and grew as 2013 turned over to 2014, especially as patches of silence lengthened and updates became insubstantial. Despite claims from the team that all was well and Godus would be a fully independent game, the Kickstarter money wasn't enough to maintain a production of Godus' size on multiple platforms. So 22Cans made a deal with mobile publisher DeNA in May of 2013, another move that sparked controversy and prompted heavy scrutiny. Molyneux claimed it was only a distribution deal at the time, and that mobile mainstays like microtransactions wouldn't creep into the game's structure. Then they did. Speaking to Kotaku in an interview, Molyneux denied that the mobile version took priority from the beginning, but he copped to having money issues that the Kickstarter couldn't solve. It seems, curiously, that he and his company did not ask for enough money in the first place, so he made a deal with that old video game devil, a publisher, out of necessity. "You only have to do the math," Molyneux said on a Skype call yesterday. "There are about 22 people here and the average salary is about $40,000. Do the math on how much that costs to run the studio for a month. It doesn't take a genius to work out that the $800,000 or so we raised on Kickstarter is only enough to take you a certain amount through development. That's why we had to sign on a publisher. That does put an extra impetus on delivering. I wish we didn't have to do that. As a designer I wish I had a gigantic cavern of money to dig into, but you have to keep your finances and do things in service of that." I asked if he'd considered completing the PC version before shifting everybody to mobile. "In hindsight maybe I wish I'd done that," he replied. "But we laid out this strategy and it seemed sensible at the time. It had some benefits. The mobile version is kinda self-sustaining now." As 2014 progressed, focus on the mobile version proved more and more troublesome for the game's oft-ignored PC version. Even after Molyneux and crew had announced that the mobile version was mostly done, server issues on the publisher's end forced 22Cans into months of additional development toward the end of 2014 and beginning of 2015—something Molyneux says contributed to a handful of key developers' decision to leave the company and an ensuing patch of radio silence after that. Despite all this and the apparent lack of funds that necessitated a publisher in the first place, Molyneux noted that the company still had Kickstarter money in the bank—just in case. In hindsight, he says he wishes he'd used it. "We thought it was gonna take nine months, but what we really should've done is put 200 percent contingency on that," Molyneux said. "Actually, it's very hard to justify contingency in a Kickstarter campaign. People ask, 'How are you gonna use the money,' and then you say, 'Well, two-thirds of the money is just there as a contingency,' people wonder what the hell is going on. So I should never even have intimated dates. I wish we'd made it through the mobile phase faster than we did. I wish development didn't throw us these curveballs all the time." From the outside looking in, the development of Godus seems disorganized, executed with little regard for many of the features pitched to Kickstarter backers and Steam Early Access buyers. Key features didn't materialize in the PC version, 22Cans abruptly switched to focusing on mobile, and when the community rose up in a great tidal wave of rage, Molyneux and co didn't change course. In our interview, however, Molyneux claimed that 22Cans was always listening, always trying to keep backers in the loop and listen to their feedback. For instance, when the developer decided to suddenly focus fire its efforts on the mobile version, Molyneux said keeping everyone on the same page was a top priority. "We tried to explain as best as we could," he said. "We went on the forums, we posted videos. But the problem was that it took longer than we thought it was gonna take. I thought naively that it was gonna take a few months, and it took longer than that. This is an excuse. It is an excuse. I'm not the brightest cookie in the barrel. It was unfortunate, but we were honest about it." On top of the communication issues, some backers had been fuming that Molyneux had yet to fulfill many of the Godus Kickstarter's promises, such as multiplayer, a Linux version, and a book documenting the behind-the-scenes development of the game. But Molyneux maintains that listening to those backers was a big part of their process. "There was [a concrete plan to fulfill promises to backers]," he said. "I would say I had more of a plan for Godus than almost any other game I've worked on. We've done 57 video updates where we talked through each stage of the development. And we've always had these big milestones. Releasing a demo, releasing an alpha version on Steam Early Access, refining that over three months, and then moving onto mobile because there were people who backed the Kickstarter for a mobile version… The problem isn't our milestones. The problem is that they take an awfully long time." But people who worked on the game paint a different picture. Even today, you need only glance at numerous forum threads to see that relations between the Godus team and their community have been strained for quite some time. In a recent video update, Molyneux chalked this up in part to inexperience with Kickstarter and Steam Early Access. This problem, allege people who previously worked on the game, could have been avoided—or at least diminished. Molyneux was provided with frequent, detailed reports on the community, but more often than not, Molyneux's whims took priority, say three people who worked on the game. Other members of a core dev group—now made up of longtime Molyneux friends and associates Paul McLaughlin and Tim Rance, former Ubisoft designer Jamie Stowe, and lead engineer Gary Leach—would influence his decisions, but the Godus team was fragmented. Left hand often failed to speak to right hand. Molyneux and his group would sometimes squirrel themselves away for days, said one of my sources, only to emerge with some difficult-to-implement new feature or one that directly contradicted what 22Cans had previously told the community. Or Molyneux would say something to the press that dev team members weren't even aware of. Some team members, for instance, found out about Molyneux's new game, The Trail, first from articles and then directly from Molyneux. This happened, according to one person who worked on the team, immediately after Molyneux called a big meeting about how everyone needed to improve on company-wide communication. "He squirreled himself away with two other people for two weeks," said the source, "and when he emerged, he was basically like, 'We're moving everyone onto a new project called The Trail. What's The Trail, you ask? Well, you'll all find out—separately!" This type of behavior led to instances where members of the dev team would publicly say one thing to the community, only to be forced to contradict themselves not long after, especially where future plans for the PC version were concerned. It was a source of frequent frustration for developers and community members alike. Everyone I talked to felt like they had very little impact on Godus' ultimate direction. To make matters worse, they began to feel like they were shutting out the community, like they were doing something wrong, something that didn't quite sit right with them. Interestingly, however, my sources agreed that Molyneux isn't some whip-cracking, spittle-shouting dictator. They said he was very kind, with an almost Steve-Jobs-like aura about him. He was frequently sincere, excited, cradling new ideas like a thrilled parent. But he was also flighty—prone to losing interest in one idea when another popped up—and he almost always got final say, even when other high-up members of the team didn't necessarily think his decisions made sense, according to people who have worked with him. Alienating the community in pursuit of some of those ideas, especially, made one important person in the company hesitant, said one source. They worried, among other things, about legal ramifications of not fulfilling Kickstarter pledges. But the source claims that person wasn't able to alter course. It was still Molyneux's company. In hindsight, it's unsurprising that Kickstarter didn't mix well with a man whose rap sheet of larger-than-life promises has become inseparable from his game-making legacy. Kickstarter is a place where promises both spring to life (to get people interested) and go to die (when development takes an unexpected turn or drives off a cliff). It's a tough place for games—what with all the inherent uncertainties of game development—whether you've got a Peter Molyneux making sweeping proclamations the whole time or not. Some developers came away from all of this more soured on Molyneux than others, as evidenced by things like this NeoGAF post from ex-community manager and longtime Molyneux associate Sam Van Tilburgh. In response to another poster's suggestion that Molyneux should have a PR person to keep his infamous larger-than-life promises to a minimum, Van Tilburgh replied, "That used to be me. Problem is he never listens to advice and instead will bully and insult you into oblivion if you dare to disagree with him." And in my interview with Molyneux, I did notice that he has a certain, extremely frustrating way of talking around anything that makes it sound like his intentions were anything less than pristinely pure. My sources were adamant that he had some sins to make up for, but he played the saint the entire time. He owned up to some mistakes, but he never took responsibility for being at the heart of them. It was always circumstance, bad luck, naivete, or some sad twist of fate. Negligence was never even considered. He favored the words, "if I'm being honest," swished them around in his mouth like he was washing it out with soap. That phrase, though, has always stricken me as a strange one. If you're a generally honest person, why throw it around at all? Ultimately, it likely means nothing, but it's an interesting word choice nonetheless. If nothing else, Molyneux verified the structure of his team in our interview, explaining that his product meeting team spends hours or even days brainstorming big picture game/company strategies, but denied the accusation that he lets his whims control the development process above all else. He did, however, say his methods tend to be experimental—prone to new ideas being tried and sometimes discarded—which explains why features like multiplayer were added to Godus and then quickly removed, only to be left on the cutting room floor for more than a year. "We take stuff out and put it in again," Molyneux said. "It's the way I work. It's the way it worked with Magic Carpet and Black & White and Syndicate. Dungeon Keeper took four years because we rewrote the game three times. It's ridiculous, I know, but this is the way I approach things. I know it's inefficient. I know it's frustrating for any backers looking at it and expecting the sort of game they imagined. But that's the way of it." Molyneux then emphasized, once again, that listening to backers was a key part of his process. "We've done polls, we've done surveys, we've brought people in from the community. We have one working for us now. I've done design calls with backers. But the fundamental problem is, we haven't had people working on features the community wants until now." Two years is a long time to wait when all you've got to go on are words. People have been wary of Godus' development progress for a while, but red flags really went up toward the end of 2014. In the wake of Molyneux's announcement of The Trail and server problems with Godus' mobile version, the Godus team shrank to three members, said one of my sources. Some people left the company of their own volition; others were moved onto The Trail. Things did not look good, especially for Godus' PC version. The widespread skepticism of the game was encouraged by, among other things, a disheartened forum post from new lead designer (and former incensed community member) Konrad Naszynski on January 10, 2015. In the post, Naszynski said multiplayer was likely out of the question, despite all the promotion a couple years back. The reasons behind the team shrinkage is disputed. Two people who worked on Godus say that this was Molyneux's way of winding down development on the game. The mobile version was more or less complete, and the Steam version wasn't making money, according to those people. Funds, meanwhile, were beginning to dry up. Despite the fact that the Steam version was only halfway done, Molyneux was, according to those sources, willing to call it a day and shift focus onto The Trail. Molyneux, however, disputes this, saying he took note of a dispirited, downtrodden team and decided it was time to bring in some fresh faces to take over Godus' development. "We're not backing away from Godus," he told me. "It's just the logic of how approach it [that's changed]. We've launched hundreds of updates to Steam Early Access, and we've done god knows how many on mobile. This team is pretty tired, as you can imagine after all that. We needed some fresh people. And honestly, a lot of our people had been working so hard that they chose to leave the industry. [Former producer] Jemma Harris has gone to the film industry, and [former community manager] George Kelion left the industry. So did [Kickstarter head and community manager] Sam Van Tilburgh. It is really, really hard work." Molyneux said that—despite adamant claims to the contrary from two people who have worked with him—he never intended to wind down development on Godus. He admitted, however, that it could've happened had things not turned around recently. "To me, that point [of almost giving up] came just before Christmas ," he explained. "What happened was, we were—as a team—about to move onto combat and multiplayer. At that point this incredible bombshell was dropped, that the servers we were using—which were provided by our publisher, DeNA—use a system called Mobage. We had to switch off to a completely different system called LCD, which was still in development. And if we didn't do the development time there, Godus wouldn't be live on the App Store and Google. We were basically forced to do that work. "That was the straw that broke the camel's back. That's when I started to see in people's eyes that sort of dullness. That's when I thought, 'You know what? Unless I can bring in some new fresh blood to this team, we're gonna flounder.' I think that was a smart move. What I should've done is put the community and press on notice that this was happening." Instead, fears were allowed to run rampant for nearly three months, and many fans and backers came to believe that the game was doomed. However, shortly after a piece on Rock Paper Shotgun earlier this week called attention to the radio silence and indications of development troubles, Molyneux and co came out with a video in which they declared a new dedication to Godus' PC version. The development team has ballooned back to a less discouraging number—with a combat specialist, a new artist, a new coder, and, soon, if hiring goes according to plan, a new scripter/designer—now led by Konrad Naszynski with Molyneux in more of an advisory role. It's not ideal for people who crowdfunded a god game principally designed by Peter Molyneux, creator of the whole damn genre—nor is what they were led to expect—but perhaps that's for the better at this point. Molyneux thinks that it's a necessary step, and he says he believes players will appreciate it with time. "A guy named Konrad Naszynski—who actually posted a forum thread and started this whole thing off—he has so impressed me with his enthusiasm and his ideas," he said. "His fresh take on the story that's coming out soon on the update branch, for example. He's super passionate about making Godus a great, fantastic, amazing PC game. And it made sense to have him take up the day-to-day stuff. I'm still there. We brainstorm his ideas together, but he's the one who actually turns those ideas into working documents. If someone implements a feature, he sits next to them and tests it out." Meanwhile, Molyneux says he plans to have developers post daily update blogs about their progress, and there will apparently be webcams around the office, presumably for frequent streaming, as well. If all goes according to plan, the community will not be in the dark this time around. Of course, given the project's history, that is a goddamn god-sized if. The team's main priorities as of now? A story that's "meaty by PC game standards" and combat, which will hopefully be followed by the long-promised multiplayer option. However, there is still reason for doubt. In a recent forum post, a 22Cans programmer explained that multiplayer is probably doable, but maintaining servers will be extra costly. "We've been able to [make multiplayer happen]," he wrote, "just not been able to afford the costs associated with releasing it. That's always been the issue. If we do release it, it's going to have to come with some kind of price tag. That or it's going to be limit[ed] to LAN/Steam friends games like it was when we first launched. The hubworld approach needs monetisation, otherwise we'd sink in a week from costs. I think the multiplayer [Molyneux] is planning is based on these known problems. Not sure what that means yet." On top of that, two people connected to 22Cans say the company is still facing money troubles, something which leaves their ability to sustain full-steam-ahead work on two separate games—not to mention a costly multiplayer mode—in doubt unless they can secure more funding. When I learned of this yesterday, I emailed Molyneux for comment, but he still hasn't replied. In wrapping up our interview that took place early that day, however, Molyneux made some bold claims. He of course asked that people give him time and leniency given that the team only recently began tackling the problem of Godus' PC version in earnest, but he also said he now intends to largely disappear from the public eye until Godus is complete. "The fundamental problem here is me," he lamented. "I think my days of talking to the press and talking through development and talking about exciting ideas are over. I think we need to draw a line under Peter Molyneux. That needs to be it, because I think my reputation has hurt the development of Godus. It hasn't helped. Every time I'm quoted in the press now whether I'm talking about Dungeon Keeper or Steam or what have you, it becomes this massive headline. "It's just become incredibly destructive. I think I'm no longer gonna go to GDC or E3. I'm no longer gonna go around on road trips for press. I think we just need to draw a line on that. It makes me incredibly sad. I loved talking to the press and I loved being a designer in front of people, talking through ideas. But I think now it's just too destructive. So now I'd rather retreat. I would rather die than stop developing games, but I think retreating gracefully from the public eye is the best thing I can do. I think if Godus was not done by me, it wouldn't have caught quite so much flack." Granted, he also claimed that he's been trying to avoid speaking or appearing publicly for the past year, and the results have been... questionable, especially in light of the fact that he's spread similar sentiments around to publications like Rock Paper Shotgun and The Guardian while continuing to do more interviews. Moreover, keeping quiet is kinda what got us here in the first place, so maybe an all-or-nothing approach isn't the best idea. Then again, he cited death threats as motivation to speak out less, and it's hard to blame anyone for tying down their tongue in the face of something like that. At the end of my interview with Molyneux, I asked one final question: after this whole runaround, did he think he'd misled people, intentionally or not? His response was puzzling, verging on bizarre. "Everything I say in the press misleads people," he said. "I spoke to a journalist yesterday, and the first thing he asked was, 'Are you a pathological liar?' When I say something in these 57 videos I've done, when I say something to the press, I truly believe it. And my philosophy, for what it's worth, is to be a designer—not to be a PR person, not to be careful about every word I say. And that's led me to this disastrous position where I can never say anything. Because everything I say misleads people. Especially with me, because I'm such an eloquent talker. I talk around a point and then a segment comes out." "I said we want to make a great game, and I still stand by that." So take that—all of that—as you will.